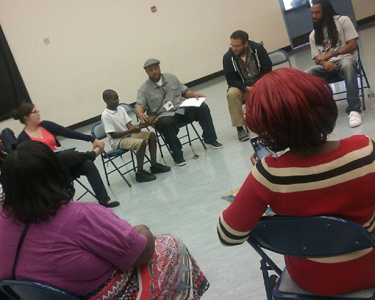 What is Restorative Justice and How is it Practiced in Oakland? Editor’s Note: This is the second part in a three part series on school discipline in Oakland. In part one, “Suspending the Suspension Problem,” we examined racial disparities in school suspensions. 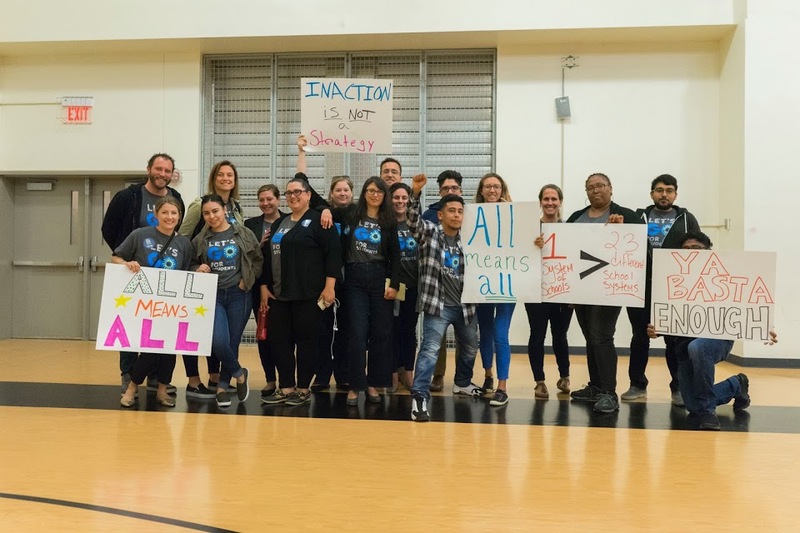 Suspensions are harmful for Oakland students, harmful for Oakland schools and disproportionately hurt Oakland’s most underserved students, including students of color, low-income students, and students with disabilities. Nationally, black students are suspended at 3x the rate of white students. In 2013-14 in Oakland, black students were suspended at 10x the rate of white students. These suspensions can have lasting and serious impacts on a student’s long-term success – reducing their chances of graduation by a third. However, until recently, the alternatives for school discipline were limited. In 2005, Oakland began exploring alternatives to zero-tolerance discipline. Measure Y grant funding was approved to form the organization Restorative Justice for Oakland Youth (RJOY). In 2007, RJOY launched its first RJ program in West Oakland Middle School. Restorative Justice is practiced in 36 Oakland schools with plans for further expansion. Restorative Justice programs in Oakland have been shown to have significant benefits; they reduce suspensions and chronic absenteeism and increase academic performance and graduation rates. RJ is different from other justice philosophies because it an active process focused on the needs of the victim and offender, as opposed to a punitive practice that merely exacts punishments on offenders. Restorative Justice’s roots can be traced to indigenous practices of community building from around the world. It is an approach to conflict that is ideal for small communities where both victim and offender must continue to live together and rely on one another. According to Yusem, OUSD’s practice of RJ is inspired specifically by New Zealand’s aboriginal communities. What does Restorative Justice actually look like? The most common practice in Restorative Justice is the RJ circle. The RJ practitioner facilitates a safe space where participants are able to be vulnerable with their feelings in a supportive and open environment. When individual conflicts arise, the school’s RJ practitioner facilitates a conversation between the involved parties. These conversations increase understanding between people and are often able to resolve the conflict in a way that’s healthy for everyone and reduces the chances for future conflict. Yusem described a case in which a teenage girl got into a physical confrontation with another group of girls. The group of girls had been telling people that the girl had stolen a pair of shoes from one of them. During their RJ facilitated conversation, the girl confessed that she had stolen the shoes to pay for a drug test for her mother, so that she could get her siblings out of foster care. The group of girls immediately became empathetic and comforting to the girl, and the girl resolved to find a way to rectify the theft and avoided a possible suspension and further conflict. What are the challenges in implementing RJ in Oakland schools? RJ is often met with skepticism from those unfamilar with the practice. To someone who hasn’t participated in RJ conflict resolution, it can seem like students are “getting away” with breaking rules, but the truth is more nuanced than that. Restorative Justice recognizes that disruptive and aggressive behaviors are often the product of traumas that students have experienced. In order to address those behaviors, RJ takes a trauma-informed approach to addressing conflict and harm. According to David Yusem, successful RJ implementation requires a culture shift. Rather than just being a mechanism for dealing with unruly students, RJ seeks to create a culture of non-violent communication and mutual support that pervades all aspects of the school community. For example, when students who are new to the US enroll at Castlemont, they are assigned an RJ-trained peer partner. When students reintegrate into Castlemont from the criminal justice system, they have the support of Castlemont RJ Coordinators who help them make the transition as smoothly as possible. In schools with RJ practices, the results speak for themselves. “Skeptical parents and teachers often come around when they see the transformations that happen for individual students and within the school culture,” said David Yusem. What’s next for Restorative Justice in Oakland? While OUSD’s Restorative Justice programs have increased substantially in recent years, there remains a lot of room to grow. Of the 36 Oakland schools that currently have RJ programs, almost all are high schools and middle schools. In order to really transform OUSD, students need to be introduced to RJ practices much earlier. OUSD is currently developing a roadmap to have RJ in every Oakland school by 2020. This expansion will require more financial resources. However, these resources will be a short-term investment in a long-term solution to Oakland’s school discipline inequities. “Ideally, RJ practitioners work themselves out of a job after 3 – 5 years. They create systems and teams that are non-personnel dependent and part of the school culture,” David Yusem said. In the final part of this three-part series, we’ll explore how Restorative Justice has impacted specific schools in Oakland and talk to the individuals who are working with students and teachers every day to transform OUSD’s culture. To learn more about Restorative Justice in Oakland first-hand, consider attending OUSD’s Community Schools Open House at Skyline High School on Thursday, May 19 from 4 – 6 p.m. hosted by the Oakland Ed Fund. RSVP here. In the meantime, we’d love to hear from you. Have you had experiences with Restorative Justice in Oakland? What impact has it had on your school? Chime in on our facebook page.